My application performance can connect your Facebook profile with your account on the community Flexer.net. FLxER is a free software to mix vector graphics, audio, video, text and interactive media. FLxER.net is a community of more than 8,000 users who share their video productions (over 4000!). 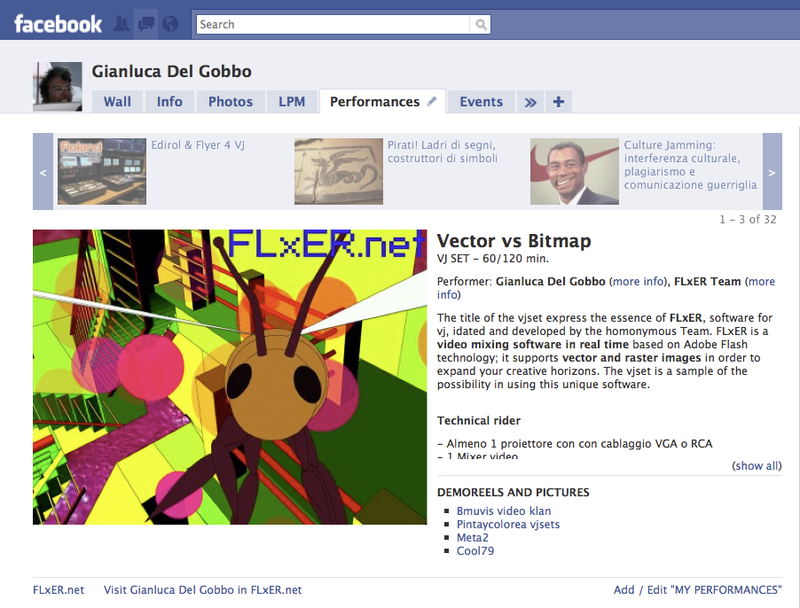 With My performances, you can display on your Facebook profile the various activities that you publish on Flexer.net, selected from those who prefer to see and promote. My performance is a useful tool for veejay, video artists and visual performers to spread their activities and performances to make them known to a growing number of people.